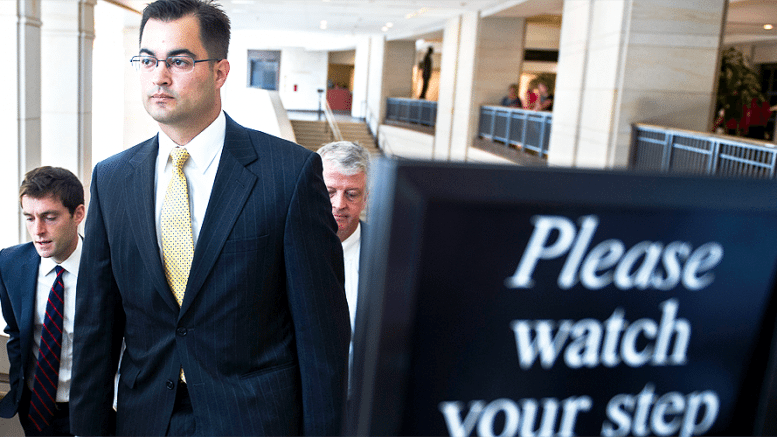 Bryan Pagliano, the IT specialist who set up Hillary Clinton’s infamous secret home server, has recently been described as being very cooperative with the FBI following his being granted immunity from prosecution. It now appears that Pagliano has discovered other things he’s afraid could send him up the Potomac and is still claiming his Fifth Amendment privileges in regards to testifying before the Senate Judiciary Committee. Maybe he just wants a similar formal extension of immunity for testimony in the Senate. Whatever his motivations, an invitation by Republican Senators Chuck Grassley and Ron Johnson to testify before the Judiciary Committee has been given the thumbs down. 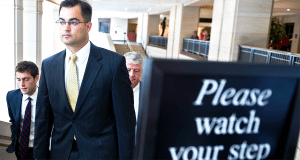 In a letter obtained by the Associated Press, his attorney, Mark MacDougall, responded to a request for Pagliano to testify regarding his work on the Clinton server saying his client would “respectfully decline” the invitation. The pair of lawmakers had hoped that the immunity deal meant that he would also be willing to talk to them but that has proven to not be the case. He apparently has the ability to claim the Fifth in one instance while waiving it in another. That Lois Lerner trail blazing has really been beneficial to crooked Democrats. Really? The waiving of the Fifth Amendment is now on an agency by agency, branch by branch basis? So if he chooses to only speak to the FBI under his immunity then the Senate would be free to call upon them or another agency to pursue contempt or other charges against him? Would they need a separate legal basis or does the immunity only deal with the FBI, as his attorney has indicated? Is that the way these Fifth Amendment protections always work or is this a special, “protect Hillary Clinton at all costs” interpretation? Doesn’t this subject their client, Mr. Pagliano, to unnecessary potential legal jeopardy? Maybe they don’t care so much what happens to Pagliano as they do another of their firm’s clients, Hillary Clinton. She’s a cottage industry in herself, the perpetual client whose criminality and insider status keep her always in need of high-priced representation. The DC law firm Akin Gump, is intimately connected with the former Secretary of State. MacDougall stated in his letter to Grassley and Johnson that, “Much of the media reporting with regard to Mr. Pagliano — that is apparently relied upon by your Committees — is inaccurate and misleading.” Those are the same claims they made about Clinton’s email troubles, which have since proven to have been a delay and derail diversionary tactic. Pagliano is expendable and clearly every word of his testimony is working its way back to the Clintons and her defense. He might want to forgo the Fifth Amendment completely and spill his guts soon, while he has the chance… and before someone else relocates them for him.